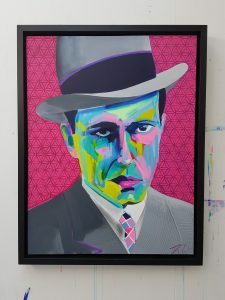 This is an original painting of the iconic silver screen actor Humphrey Bogart. 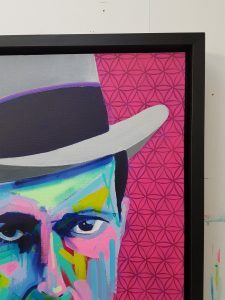 It’s acrylic, spray paint and graffiti paint on canvas. It comes in a custom black wood box frame.